Talk of a new Sony Xperia Ultra handset has been rife for quite some time now, and a new rumour has just added fuel to the flames. 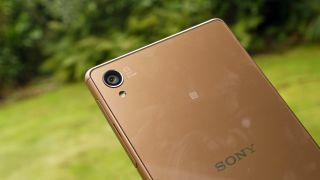 Sony is reportedly working on a new 6-inch handset to go alongside the long-anticipated Xperia Z4 and will entitle this one the Xperia Z4 Ultra. According to Digitimes the source is part of the Taiwain manufacturing plant where Sony is producing the Xperia Z4 line for a rumoured release of later this year. We are taking this source with a big pinch of salt as Digitimes isn't always the best trusted source out there, but there's no real reason to shrug off this rumour just yet. The last time we saw a larger form Sony handset was back at the start of 2014 when it released the Xperia T2 Ultra, so it'll be interesting to see how things have developed since then.